How can literature catch a sense of lived time? Are both fiction and living a necessary illusion? The German poet, playwright and novelist Heinrich Von Kleist tells us of the marionette puppet theatre that the graceful and rhythmic dance movements of its mute figurines entirely depend on the centre of gravity in each puppet. The puppeteer lets the mechanics follow its own rhythm: “When the centre of gravity is moved in a straight line, the limbs describe curves. Often shaken in a purely haphazard way, the puppet falls into a kind of rhythmic movement which resembles dance.” The job can be done entirely without sensitivity or without much idea on the part of the puppeteer about the beauty in the dance. And yet the operator dances with the marionettes. For there is something mysterious about the simple curvatures and movements that the puppets follow. Those paths are taken by the soul of the dancer. The operator must transpose himself into the centre of gravity of the marionette. If the operator is able to transpose himself thus, he is in unison with the centre of gravity of each independent movement. Affectation is its obverse, that is to say when the moving force appears at some point other than the centre of gravity of the movement. The weightlessness of the puppets derives from the fact that they glance lightly at the ground, like elves, and through such momentary checks, renew the swing of their limbs. We humans must have it to rest on, to recover from the effort of the dance. Otherwise, we remain what we are: isolated, self-conscious and all too human! Only god can equal inanimate objects in grace, concludes Von Kleist. Grace appears only in that human form which either has no consciousness or an infinite consciousness; that is, in the puppet or in the god. This transposition, the recovering of wonder and weightlessness in movement and curvature is also a turn. A turn towards an event. The turn towards an artistic event means having a perception of a relationship between the name and the thing. It is to this relationship that Blaise Pascal has given the name of time. J Hillis Miller calls this investment in tropes and signs a certain kind of catachresis. We cannot verify the unknowable time of wonder but we sure can feel the unknown and the unsaid in our guts, running in our bloodstream. Literature is a vector, a directional motion towards such a time that is eerie, ominous and enchanted. How can literature catch a sense of lived time and how can time elicit from us, the producers and connoisseurs, a specific sense of artistic consciousness? The essays in the book are largely concerned with time as this idea of an enigma, which urges us to deploy the figurative language of a certain kind that takes us closer to the partially knowable. This is another kind of time: the vibration of the perishable minute, which we can catch if listened with a certain patience and ardency. This perishable moment of partial knowledge is the sub-social, lurking just a degree above the natural. The relationships between signs contain these constitutive temporal moments. The wondrous signs of literature work through certain repetitions of time but they also gradually shift place from the previous signifying slices of time to the present moment. Each sign in this sense is pure anteriority. If we, the actors in and of time, can ride correctly over the centre of gravity of each movement, each relationship, then time can turn marvellous. Time is, in this sense, following Friedrich Schlegel, a permanent parabasis, a suspension. This suspension cannot be represented through copying whatever can be visualised. Literature is rather akin to a wondrous calligraphy – made up of dazzling, vengeful, loving emblems which can be decoded and deciphered. In order to get hold of the thickness of duration, literature tells us what time stands for, what do relationships allude to and what the rhetorical features of the political moment are. If deciphered, such art provides us with another set of clarity – which is what this book is all about. It is an encounter of each man with himself and the world. This encounter is providential in the sense that the adventure with duration turns into an irresistible involvement with life. Art repeatedly deals in such fortuitous durational adventures. Adventures provide a clarity that is vehement. Taking on headlong the vicissitudes of vehement living, Agamben would cite from Erec et Enide: “But greater the wonder/and the more perilous the adventure/the more he covets it and yearns for it.” Acknowledging the perils of vehemence means existing in, and with, simultaneous engagement and aloofness with whatever happens. Vehemence is a pure daimon. Can wonder be a goad to inquiry? What do we mean when we say that facts are stranger than fiction? How does the familiar begin to look strange? Have we taken enough cognisance of the phrase – willing suspension of disbelief? What is the relationship between intensity and doubt? If wondering at something leads us to the miraculous and severe, wondering about enhances bewildered curiosity and questioning. Wonder is an epiphanic moment and a durational effect, but it is also a time of emergence: into knowing from unknowing. Epistemologically, the question can be posed as delving into an area that lies between credulity and doubt. Phenomenologically, one becomes aware of a realm between engrossment and reflection. If we immerse in temporality, why doubt its flow? Do we even have the agency to do so? Could it be that fiction works independently of our willing? Fiction is a strange word actually. Does suspension of disbelief compromise enchantment? Is fiction a necessary illusion and is living so as well? 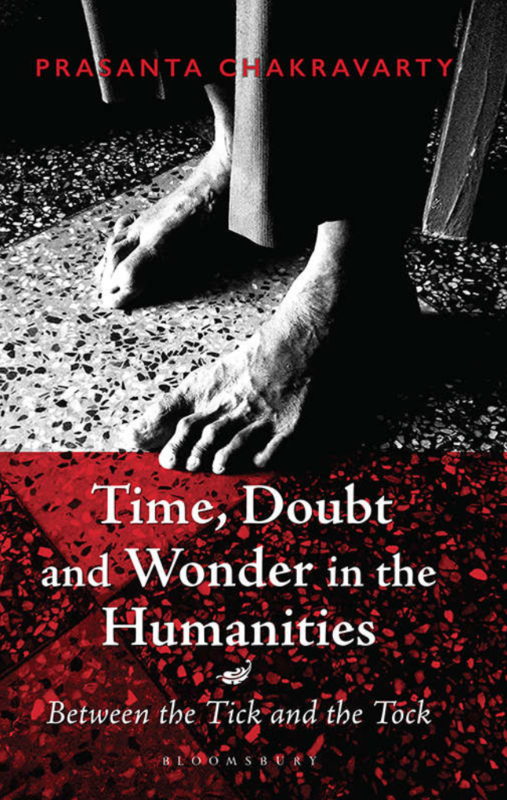 Excerpted with permission from Time, Doubt and Wonder in the Humanities: Between the Tick and the Tock, Prasanta Chakravarty, Bloomsbury.